Wednesday, November 29, 2017 – CMON Limited announced today that they have entered into a multi-year deal with Steve Jackson Games to publish board games based on the acclaimed Munchkin franchise. Through this partnership, CMON will produce board games based on the long-running Munchkin series made popular by its engaging gameplay by designer Steve Jackson and its cast of fantastic characters illustrated by John Kovalic. CMON will bring this playful universe to life on the tabletop like never before in Fall 2018, beginning with a board game inspired by the highly-successful Arcadia Quest. 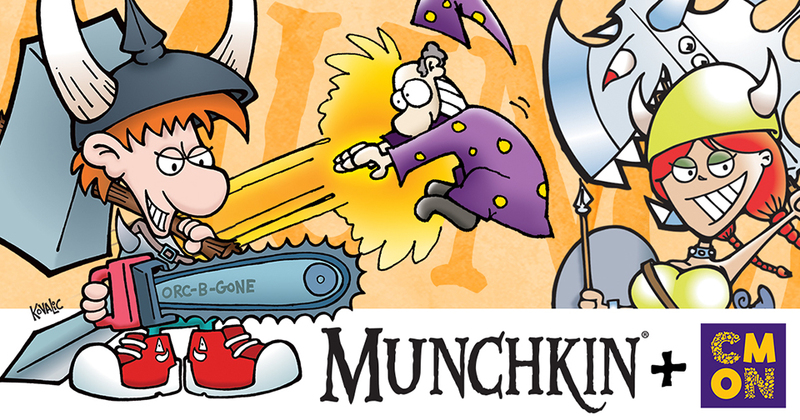 CMON’s first board game based on the Munchkin license is planned for Fall 2018 with more news and announcements to come. Steve Jackson Games publishes Munchkin, Ogre, Illuminati, Zombie Dice, Chez Geek, and a lot of other board and card games. Its big upcoming project is Car Wars on Kickstarter. Follow us on Twitter, like us on Facebook, visit us on Instagram, and check out our game forums.